Jean-Michel Cazes moved to Pauillac in July 1973 with his wife and their four children. His father André, the insurance broker and Mayor, entrusted him with the task of looking after the vineyards. The former IBM engineer was soon able to put his professional knowledge and experience to good use, initiating the modernisation and development Lynch-Bages and Ormes de Pez. In 1987, he took part in the creation of Axa-Millésimes, which he went on to manage for 14 years. In 1988, he acquired new properties: Villa Bel-Air in the Graves, and then La Livinière in the Languedoc – which was renamed L’Ostal Cazes – followed by the Domaine des Sénéchaux in Châteauneuf-du-Pape in 2005. He also created new wines in Portugal and Australia, in partnership with family companies. In 1992, the Michel Lynch brand completed the range. In 2001 he formed the JM CAZES Sélection company, aimed at publicising those of his wines that require specific marketing. 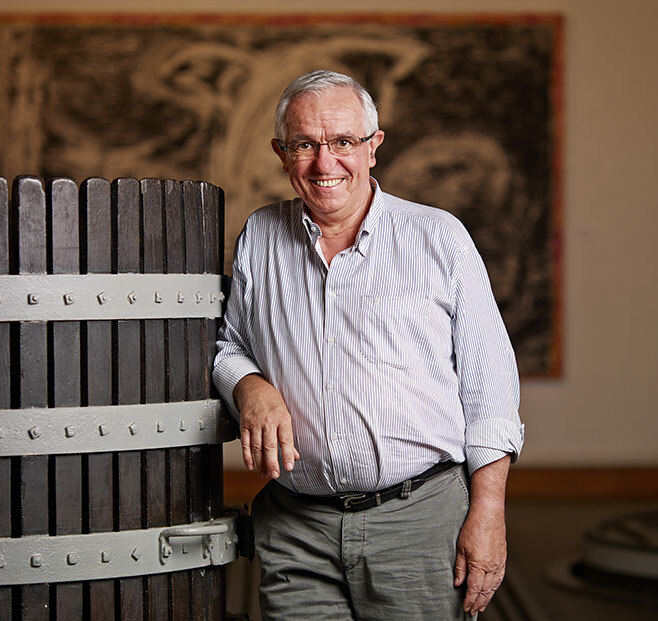 Jean-Michel Cazes has placed Lynch-Bages at the core of an art of living that he promotes and which is shared nowadays at Cordeillan-Bages or in village de Bages. President of the Pauillac’s winegrowers’ union, he is also the director of the Conseil des Vins du Médoc and Vice-Grand Maître of the Commanderie du Bontemps, an organisation that he chaired for many a year and which remains dear to his heart. 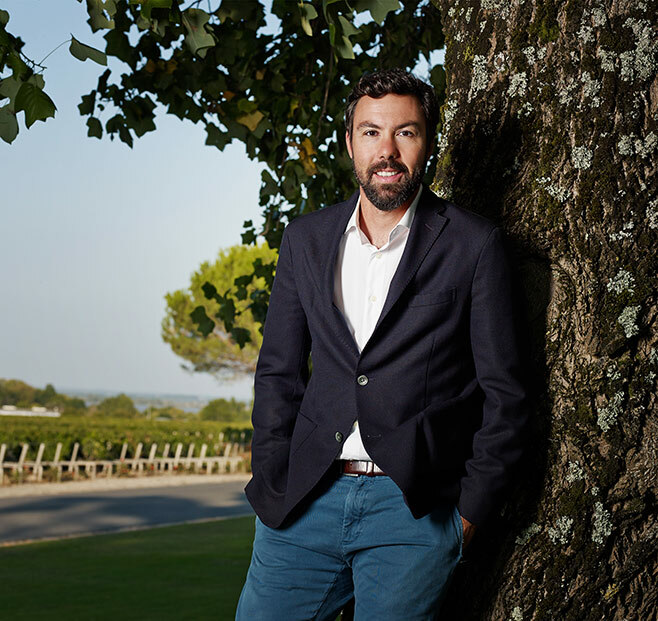 Born in Bordeaux in 1974, Jean-Charles Cazes manages all the family vineyards, both in France and abroad. A graduate in economics and finance and holder of the DUAD (tasting diploma), he set out on his career in Brazil, as a financial controller. A wine enthusiast, in 2001 he became the sales manager for JM. CAZES Sélection in Scandinavia, the UK and in the USA. From his Médoc peninsula, he can satisfy a pleasure other than his love of wine: surfing. Each year he turns up without fail for the mascaret, that famous tidal bore on the River Gironde that is surfed upstream while the sun is still in the vineyards. Back in 1991, Sylvie Cazes, the younger sister of Jean-Michel Cazes, joined up with him and became director of communications of Axa Millésimes and of the family properties. She was president of the Union des grands crus de Bordeaux. Currently the president of the family group’s supervisory board and president of the board of directors of the Bordeaux Cité des civilisations du vin, she also runs the Bordeaux saveurs agency and the Chapon Fin Restaurant. 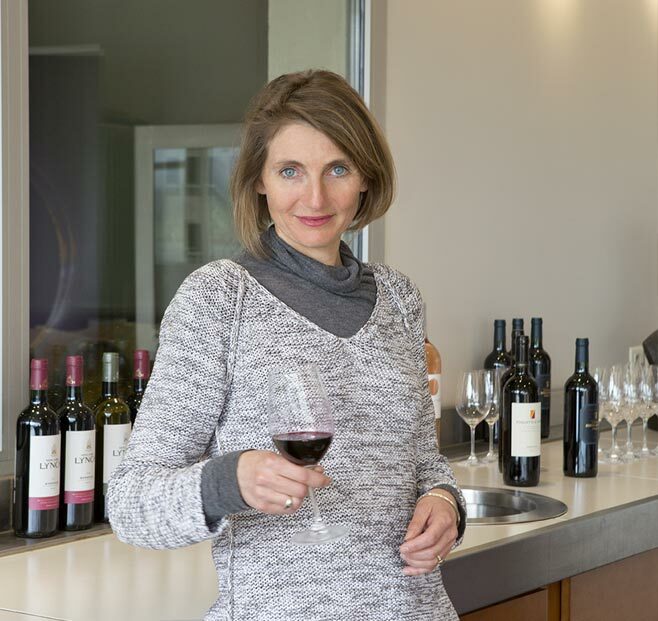 In 2013, along with her three children, Pierre, Julie and François Régimbeau, she purchased Château Chauvin, a beautiful 15-hectare estate near Pomerol, in the north-west of Saint-Emilion. In charge of digital communications for a group with a global outlook, Marina Cazes puts to good use her capacity for dialogue and her knowledge of the family business, its individuals and its industry. Possessing a DESS postgraduate qualification in English-Portuguese translation, and having worked as a software translator in Amsterdam and Utrecht in the Netherlands, she then she found herself far from her Médoc. and a strong bond draw her to where she had begun. She often travels to Africa (Mozambique, Namibia, Zimbabwe…) to take part in humanitarian or environmental missions. 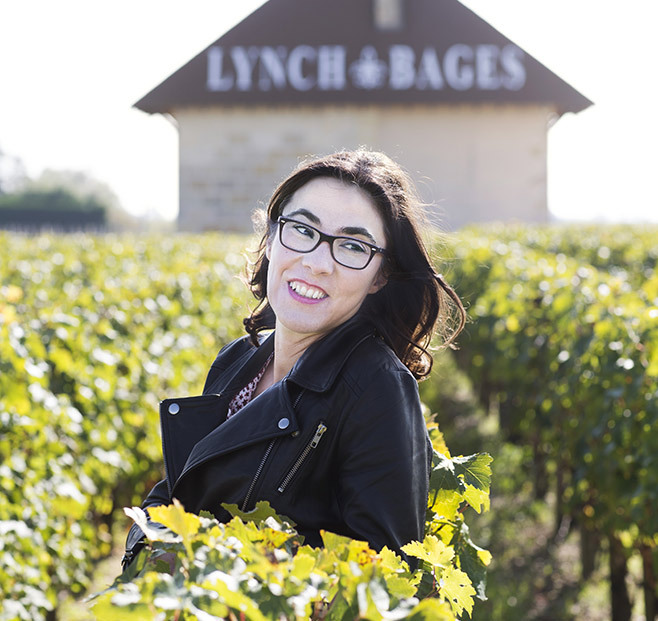 Today, she assures the contact between Lynch-Bages and the outside world both in the field and through our Internet sites. Kinou Cazes Hachemian is currently responsible for representing Lynch-Bages and the wines from the family estates throughout North America. Kinou graduated from the French business school Institut Supérieur de Gestion and began her career in New York working in advertising for D’Arcy Masius Benton & Bowles. She came back to France to work for the insurance group AXA as a Investor Relations Manager and in 1996 joined AXA Equitable Advertising and International Communications department in New York. Wine and the art of living have been her enduring interests. Now living near New York City with her husband and children, she collects objects connected to wine and gastronomy from all over the world, and sources the designer creations and works of art that can be admired throughout the Lynch-Bages wineries, Cordeillan-Bages reception rooms and in the boutiques of the village of Bages. Kinou is a fan of all of life’s pleasures especially those of the table; she is a great traveller with an insatiable curiosity and has grown up to be a skilled and inventive cook. To celebrate the 80th anniversary of the Cazes Family at Lynch Bages she had the idea to compile a book* detailing the history of Lynch-Bages together with a history of the Cazes family cuisine, enjoyed by guests in the Cordeillan-Bages restaurant and at family gatherings. A well-informed music lover (contemporary music) and musician (string instruments and percussion), he organises tours, tastings, tasting classes and landmark events at the Cercle Lynch-Bages, in the heart of the village of Bages. « I sort the outfits coming from the cleaners and distribute them to the servicemen. Jackets with jackets and trousers with trousers, and, very importantly, in order of size. » This was how, in March 1976, Daniel Llose began his job interview… although he didn’t know it! The scene took place in the outfitters at the Bègles military base where he was doing his military service as a furrier. The name of the officer to whom he was explaining his work was Jean-Michel Cazes, who was undergoing military training as a reserve officer. Strange though it was, this was no chance encounter. Lieutenant-Colonel Rolland was aware of his professional aspirations and that Jean-Michel Cazes needed to replace Roger Mau at Lynch-Bages… Hired! And so began, on 28 August 1976, during an early harvest, the story of Daniel Llose, in the family company where he now co-ordinates all the estates, both in France and abroad. 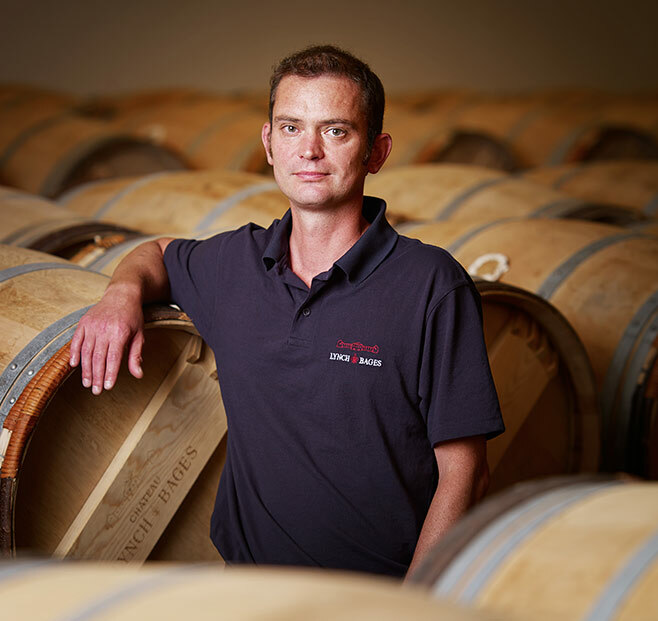 As well as being technical manager of the wine-growing and -making, administrative and customs operations at Lynch-Bages and Ormes de Pez productions, Nicolas Labenne also represents Domaines Jean-Michel Cazes during tastings, meetings and conferences. He is also an active member of the Bordeaux association of oenologists and the examining board for the Bordeaux diploma of oenology. An accomplished sportsman, he is passionate with competition, having played tennis and especially rugby at a high level in several clubs in the south west of France for twenty years. The high point of his sporting career was the French 4th-Series championship title in 1997. In parallel with these numerous activities, Nicolas also showcases the family property in the Gers (Armagnac, Floc de Gascogne aperitif , and wines). 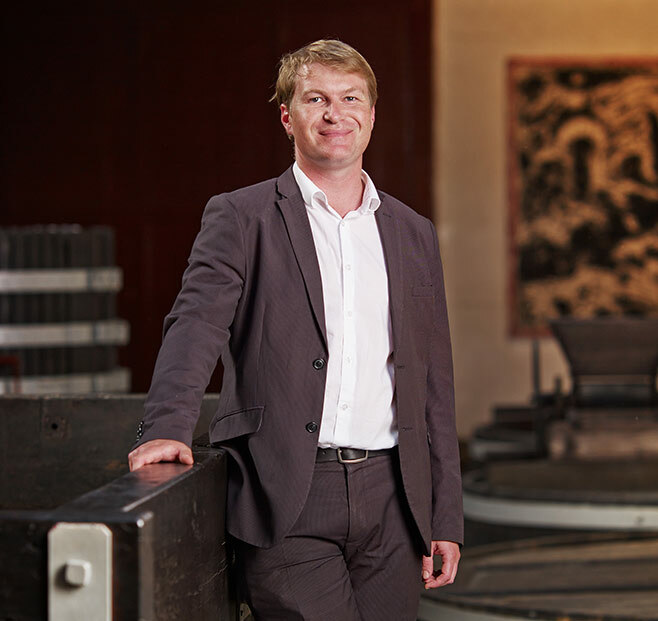 Jérôme Le Roux has been managing and organising the work of the Château Lynch-Bages cellar personnel since 2002. He co-ordinates the reception of the grapes in the fermentation area, the vinification and the ageing of the wines. His organisational role continues right through to bottling. He also ensures the traceability of all the work carried out in the cellar. Before joining the Lynch-Bages teams, he exercised his oenological and winemaking talents on the Bordeaux region’s left and right banks. 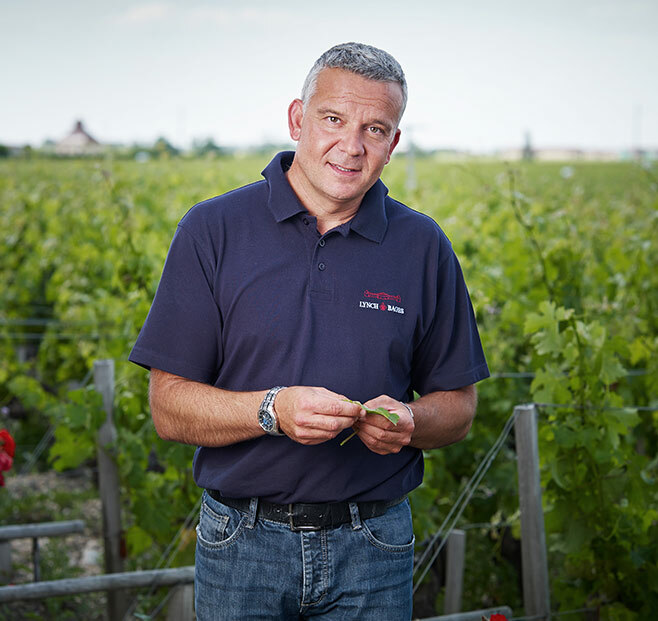 In charge of harvesting, the vineyard’s team leader Franck Debrais possesses over 20 years of experience and has been vineyard manager of the Lynch-Bages 112 hectares since 2008. It is he who ensures that environmental quality regulations are met. A demanding post, as it involves contending with the weather, a balance between environment and terroir that must be respected, and some technical challenges. That said, for him, the great quality of the wines resides in – over and above technical advances – the team’s ability to push itself and surpass itself with every harvest… values that have served him well during his ten years as a volunteer fireman. Together with Daniel Llose oenologist Anne-Sophie Giambi selects the Michel Lynch, wines and supervises the bottling and labelling. In her capacity as technical director, she also undertakes the management of storage and packaging at the warehouse in Macau, ensuring compliance with the group’s quality policy. With a strong personal conscience geared towards environmentally-friendly activities, she goes riding to recharge her batteries. 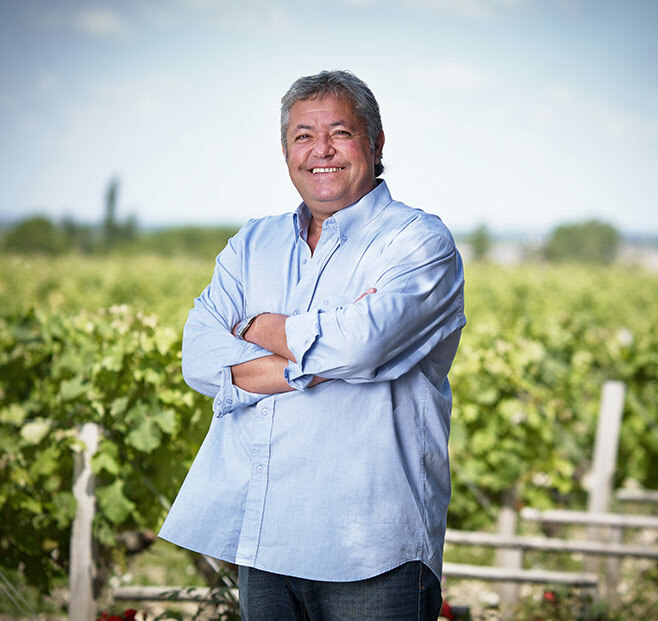 A wine-grower and cellar worker at Château Colombier Monpelou, Tonio Sanfins played rugby in Pauillac in the early 1980s. There, he got to know Daniel Llose, who recruited him into his team in May 1984. 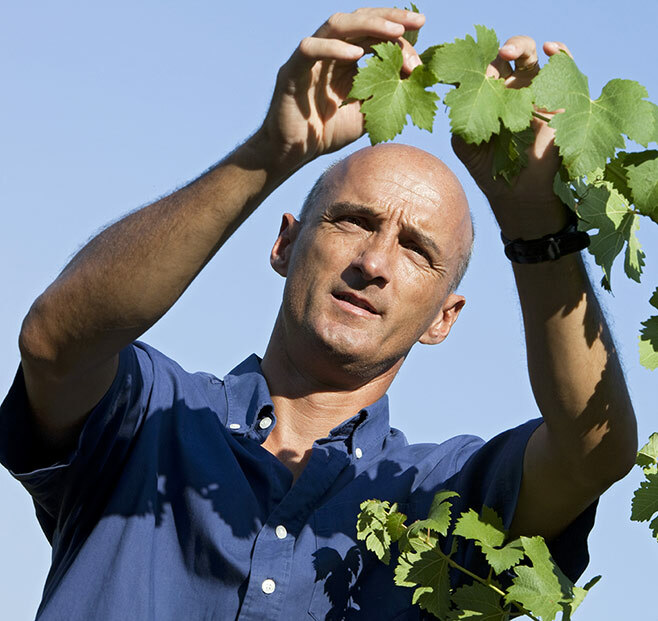 Here, he was to be a wine-grower, chauffeur and then team leader before becoming vineyard manager in 1992. He is a real local man of the Médoc, having lived for six years on the Ile de Patiras (in the middle of the Gironde estuary, opposite Pauillac) where his parents worked in the vineyards belonging to the Albert family. 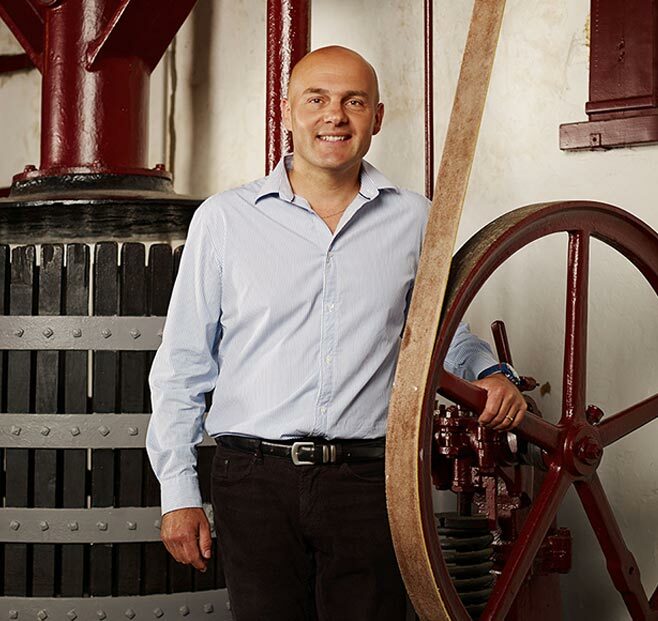 Technical vineyard and cellar management, welcoming professional clients, preparing budgets and investments… Bernard Tranchecoste has been in charge of the the overall running of the Domaine des Sénéchaux since 1998. 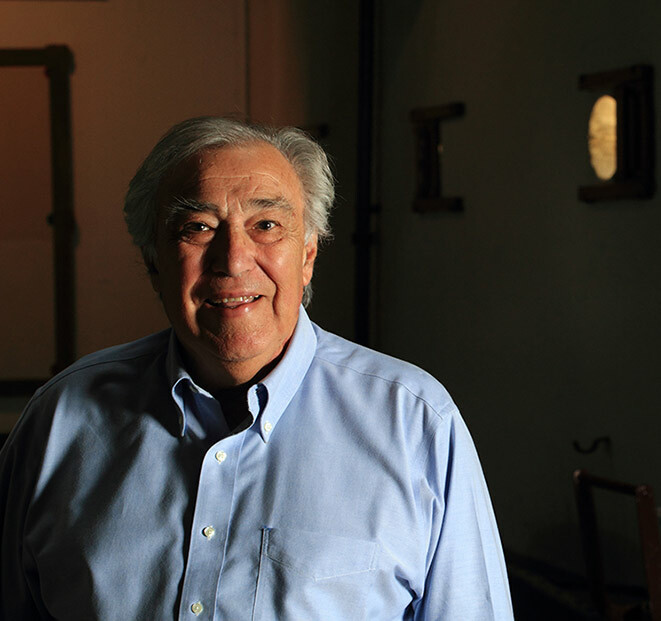 A native of the Var, he only left his famous Mediterranean Trois Îles to further his career: making great wines on the Châteauneuf-du-Pape appellation.